This Key Project is focused on developing new signal processing technology that improve listening in noisy environments, reduce the concentration required of end-users and improve pitch perception for music and tonal languages. This includes further development of the bilateral sound coding scheme which seeks to optimise speech perception and spatial awareness for people with hearing aids and cochlear implants, and the Enhanced Tone (eTone) strategy developed by the HEARing CRC (2017–2014) now re-named Optimised Pitch and Language (OPAL). OPAL is currently being implemented in Cochlear Ltd’s clinical processor for specific clinical trials in China. In collaboration with industry Members, the HEARing CRC is further developing hearing devices that will automatically adapt their processing to their acoustic environment and enable end-users to ‘train’ their device to select their preferred settings. This will include trainability of our super-directional beamformer to deliver near-normal speech understanding in noise and more accurate localisation of sound. 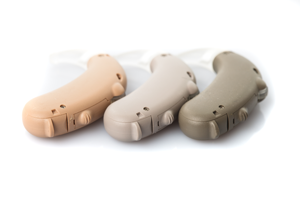 It has application in hearing aids, cochlear implants and hearing protection technology that will be further developed under the Clinical Trials and Commercialisation theme. Additional elements of this project include development of low maintenance, water-proof microphones and further investigations of totally implantable devices. This project is determining how can spatial hearing be optimised and exploited to achieve close to normal speech perception in noise and spatial awareness in hearing devices such as hearing aids and cochlear implants. This project is determining how sound coding schemes in implants be changed to better present pitch and inter-aural time cues for their wearers.